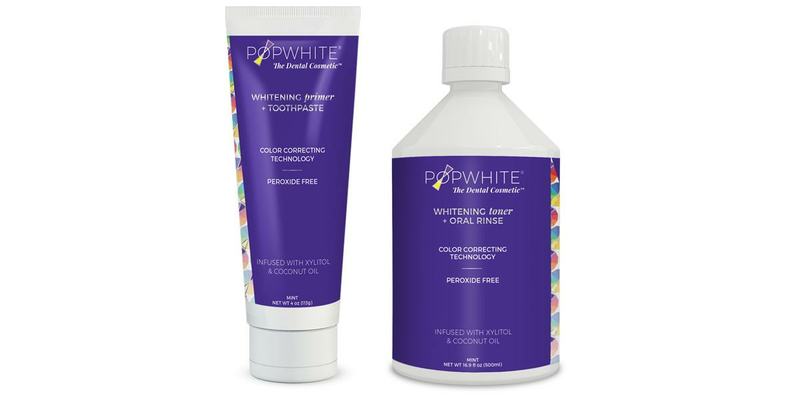 POPWHITE Primer and POPWHITE Toner, when used together twice a day for fourteen days, whitens teeth an average of four shades. 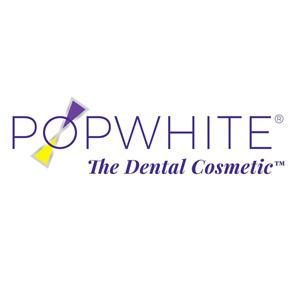 POPWHITE's color formulas are FDA approved and the products are dentist recommended. The Primer and Toner are further enhanced by Xylitol and Coconut Oil, multi-tasking powerhouses which protect dental enamel and promote glossy bright teeth. POPWHITE is peroxide, alcohol & flouride free. The Power Duo is vegetarian, cruelty free and made in the USA.